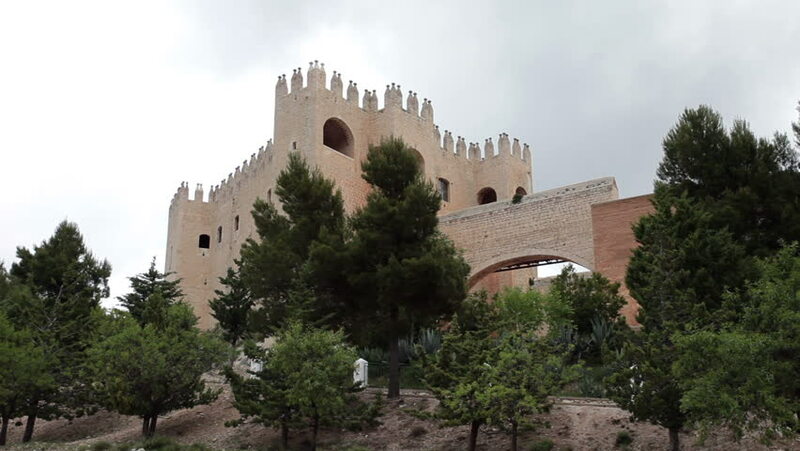 Castle Spanish town of Blanco, renaissance Alcazaba Moorish, breeze in trees. Velez Blanco sitting high on top of mountain. 4k00:10Granada, Spain - April, 2017: The Alcazaba of Al Alhambra, Granada.